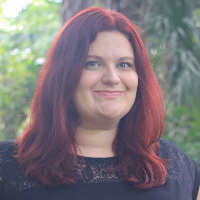 My name is Carrie Convers and I am a Florida Licensed Mental Health Counselor, National Certified Counselor, and EMDRIA Trained EMDR Therapist. My passion is helping you create the fulfilling life you deserve by overcoming your personal struggles. I specialize in working with issues related to trauma, anxiety and depression by providing strength-based, value-based counseling to teens and adults. I utilize an integrative approach to therapy based on acceptance and empowerment with extensive experience in providing individual and family counseling in my private practice and in different treatment settings to address trauma, anxiety, and depression. Whether we are talking about feeling down and stressed out, strained relationships, past traumatic events, or any other life situation, I strive to meet you where you are, while supporting you, your values, and your strengths. I aim to provide a safe and accepting place where you can be vulnerable and share your struggles. We will dive into how your thoughts and behaviors may be getting in your way and work together to create change and develop more effective coping skills. Together we will explore how to navigate relationships and create the fulfilling life you deserve. I am looking forward to starting this journey of healing with you! Carrie Convers is one of the least judgemental people I know and I immediately felt like I could share anything with her without being judged. Carrie is really great at honing down through all my thoughts and processing and clarifying the main points, as well as working well with me to develop realistic solutions and then cheering me on when I need it. Would you like to write a review for Carrie Convers? We'd appreciate if you can spend a couple of minutes to write a short review for Carrie Convers (MEd, LMHC, NCC). This review would be shared with Carrie Convers. It may also be posted in our website or in Carrie Convers's profile but it would be anonymous and your identity would be kept completely confidential.